Due to a malfunction with the video camera memory card the January meeting will not be available, thank you UBID Administration. This is what has been visible since Jan. 22, 2018 under the Meeting Videos heading. Yesterday I called the Admin and asked what the problem was. He was unaware of the problem and stated I was the first person to mention it. The November 16, 2017 video is missing approximately 17 minutes of content due to an error in transferring the video segments. The January 18, 2018 video did not record due to a camera failure. The comedy of errors continue. 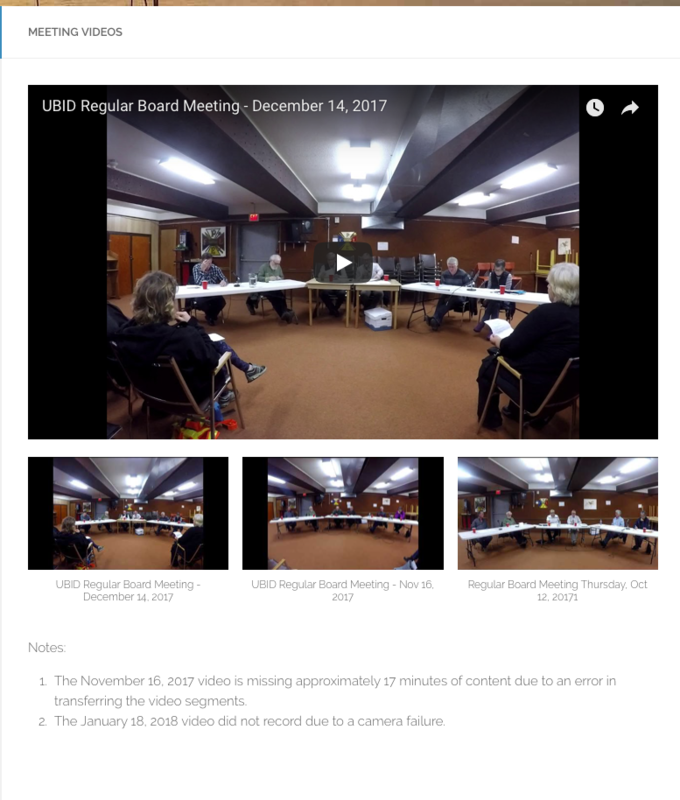 First there was the ‘accidental deleting of 17 minutes’ which was the entire motion Trustee Kaljur put forth and was passed from the Nov. 16, 2017, which now is in “motion limbo” never to be heard from again. Now the claim of ‘camera failure’. These people don’t know what they’re doing and are so scared we are going to find out. News flash – it’s evident from every word and action. This so called government is a bloody joke. ‘Camera failure’ – the camera works when you press the button to record – how about admitting ‘human failure’? So, did the Admin use the audio recorder which was always used by previous Admins to compose the minutes of the January 18, 2018 meeting? One change for the better is that little right facing arrow in the top right corner of the video – that’s the ‘sharing’ button. The dingbat trustees have put the stake in the heart of their bylaw 270 which they consistently violate – Ha Ha. Next Post Any Bets on When Kensington Island Properties aka 34083 Yukon Inc. Will Proceed?